Bitter Minnesota is a craft beer tasting & brewery tour experience for people interested in Minnesota’s craft beer culture. 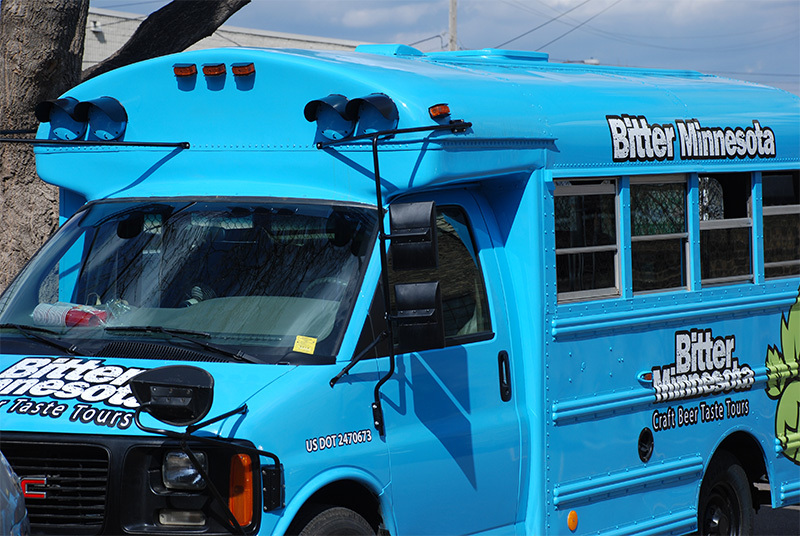 Our little 14 passenger brew buses take adventurous people interested in tasting locally produced craft beer to several of Minnesota’s best craft breweries and brewpubs. Whether you are a visitor, a local, new to craft beer or a full-on beer connoisseur, we promise safe and reliable transportation and all the necessary planning to enhance the tasting experience. We provide an exciting tasting experience by helping you navigate brewery to brewery, and beer to beer. Bitter Minnesota brewery tours add a fun craft beer experience to corporate events. Our love for locally produced craft beer inspires us to create amazing and memorable tasting tour experiences. We provide an exciting tasting experience by helping you navigate brewery to brewery and beer to beer.